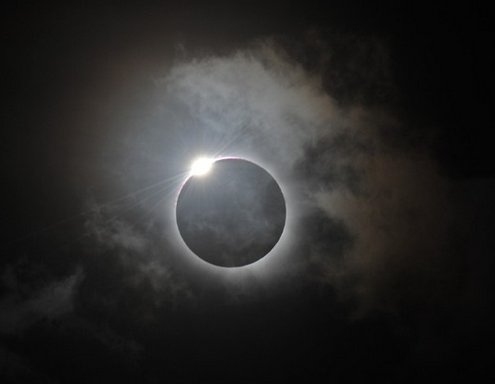 The “diamond ring effect” is visible following totality of a solar eclipse at Palm Cove, Australia. Eclipse-hunters have flocked to tropical north Queensland to watch the nation’s first total solar eclipse in a decade. The moon’s shadow path on the Australian mainland lasted for a maximum of 2 minutes and 5 seconds. To see more information and images, go here.